The house is big, clean and full of light. 5 min drive from Coles, same from the train station. Plenty of little shops for take away and breakfast. We have a big kitchen, a sun lounge and a garden perfect for sunbaking and bbq. Plenty of extra storage in the garage. Also we are super close to oakleigh, and the amazing Greek restaurants. Internet is $20. 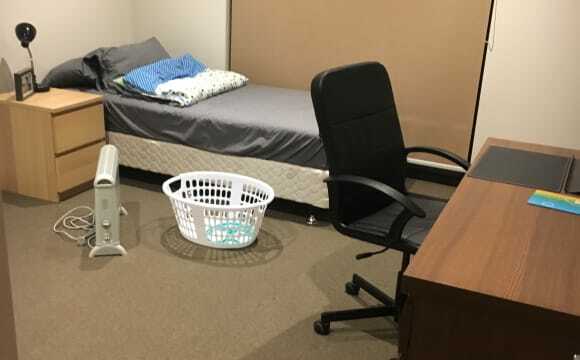 Cleaner comes every fortnight $16 The room is $680 a month plus a month bond. Fully furnished Double bedroom for rent in a brand new renovated modern style house. 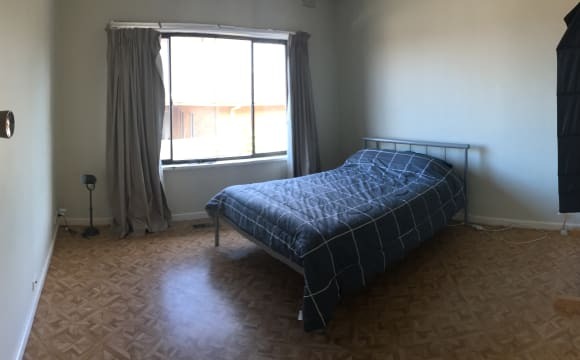 - 5 mins drive to Monash University - 14 mins by bus to Monash University - 10 min walk to Woolworth, shopping area and restaurants The room comes with Hugh double bed and mattress, new study desk, full-size mirror wardrobe, bedside table and lamp. The room is very big and spacious. The bill will be shared. There are electricity, gas, water and Unlimited High-speed internet. Washing machine, Kitchenware and equipment will be provided. 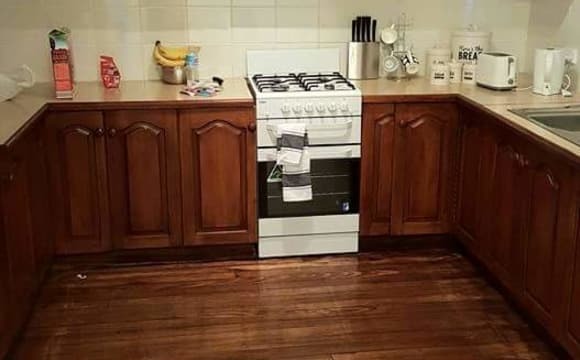 Ready to move in without worry. Very close to transport, 5 minutes walk to Trains (Huntingdale Station), Buses (including frequent express shuttle to Monash) Friendly Family environment. 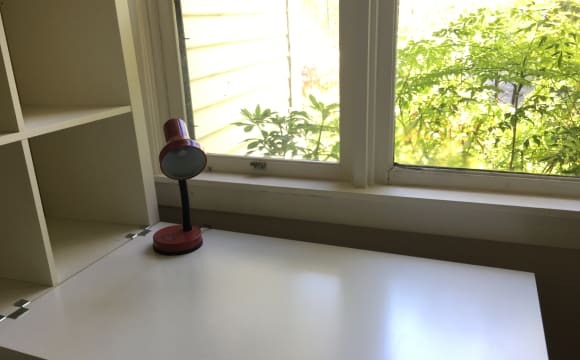 Quiet Study Space. Cable Internet and bills included (gas, electricity, water) Ducted Heating and Cooling, Wood FirePlace Studio / Garage for storage (neg) Close to Gym, local shops, bike trails, Oakleigh and Chadstone Shopping Centre. Looking for a female to houseshare with 2 other females on Dandenong Rd Oakleigh East. 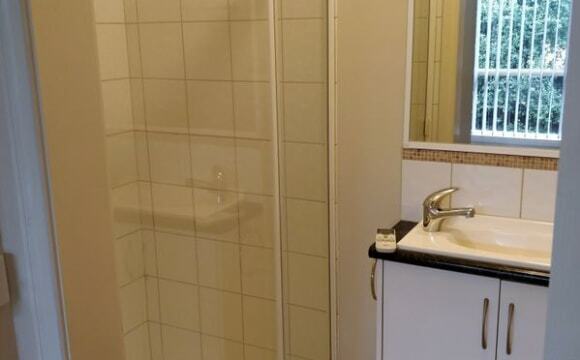 Walking distance to Monash Uni or bus outside to Monash, Chadstone or Huntingdale. Must be female, working or studying, and clean and friendly. No drugs. Share with a worker and a Monash student, both females in their 20s, and 1 male worker. $190 pw includes bills and WiFi. 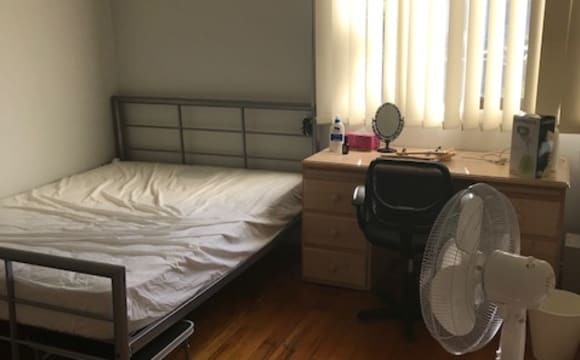 The room may be available in July and the current housemates are keen to find another girl, that's easy going and clean, to share this fully furnished house with. 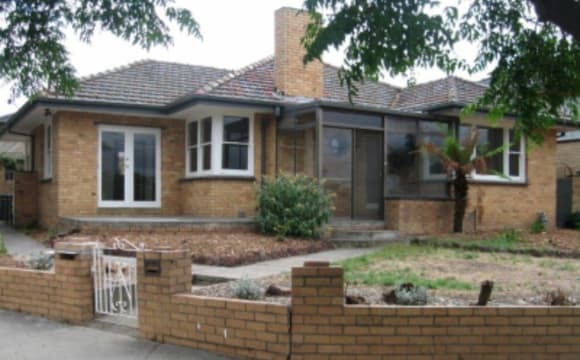 The house is at a good location, only few mins walk to bus stop (900, 800, 826, 804, 742), one bus to Chadstone shopping centre, Oakleigh station, Huntingdale station, and Monash uni (Clayton and Caulfield). Convenient store, bottle shop, post office, pizza shop and a restaurant are just across the road. The house is an almost new townhouse with a modern kitchen and a living room. The house is fully furnished with almost everything you might need. So you can just move in with only your luggage. The room is furnished with a queen size bed, a desk, a chair and a simple wardrobe. The facilities in the house include duct heating, air-con, and wash machine. 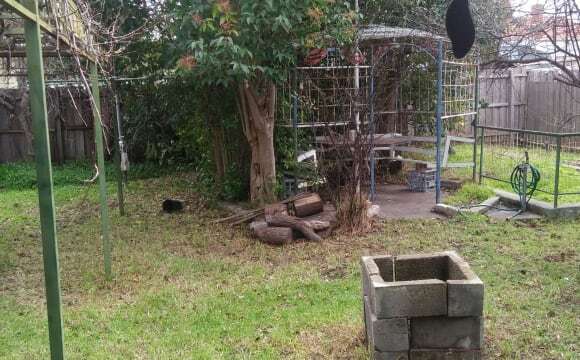 Close to public transport multiple bus routes and Huntingdale Station. Large room, with plenty of storage. Book Room (not enough books to call it a Library) with a pool table. 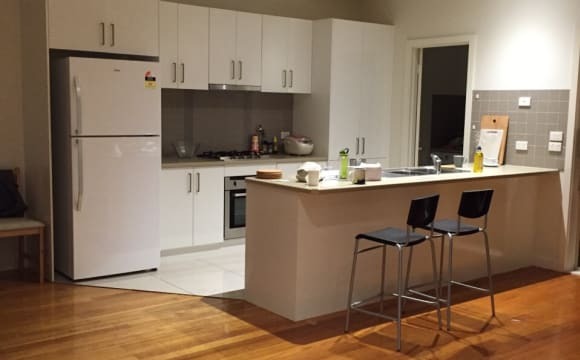 Large kitchen Ducted heating Close to Monash University. Close shops (in front of the house). Bus stop 2 mins walk distance. Close to Oakleigh &amp; Huntingdale station. Close to Chadstone &amp; Oakleigh shopping centre. Close to Monash uni. Quiet area. Good neighbors. The house is newly renovated and you have your own bathroom and toilet (might be used by visitors now and then). It's close to parks with one accross the road and Schotchmans Creek Trail just 500m away. Located 2.7km from Monash Clayton campus with frequent buses to Monash uni and Oakleigh train station. Air-conditioner in the lounge and gas ducted heating throughout the house. You will be sharing the house with just one other - me. 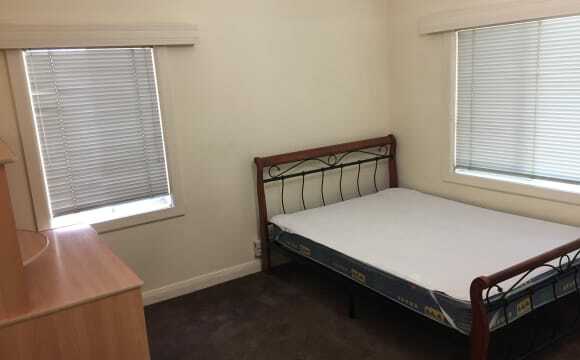 Fully furnished bedroom available for rent in townhouse in Oakleigh South. This is two story town house and the vacant rooms located in upstairs. You have your own room. The bedroom is equipped with queen size bed, wardrobes, Split-system air-con, Television, Netflix, Refrigerator and study table. 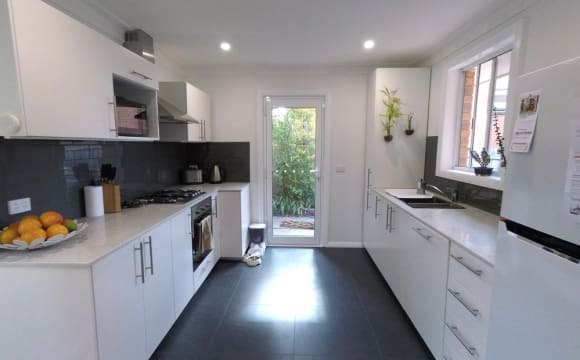 Fully furnished house with all kitchen utilities and quality furniture Very convenient location and 3 min walk to bus stop and approximately 12 min walking distance to Huntingdale train station, 15 min walking distance to clayton train station, Close to Monash University and Monash health. 2 weeks rent and $500 bond to be paid up front. Call or text to arrange a time for viewing. LUXURY LIVING A wonderful renovated period house and outdoor garden living environment only a few minutes’ walk to Oakleigh station (25 Minutes into the CBD) and many bus routes for example 900 (8 Mins to Monash University Clayton) and even less time to the Chadstone shopping centre. Utility costs, professional house cleaning and gardening and all channel recordable Platinum HD Foxtel in your room and 4K Foxtel in the lounge room and up to 100 Mbps wireless broadband access are all included in the rent so nothing more to pay and no maintenance to do. 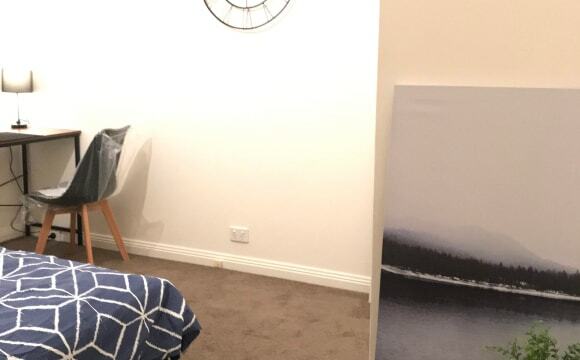 Posting up this wonderful room on a quiet street in Oakleigh South, walking distance from Huntingdale Station. The house is spacious and is newly renovated. 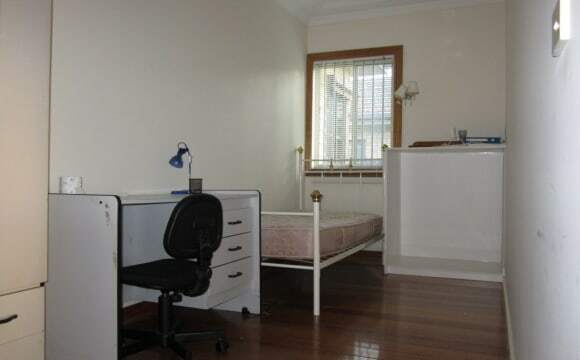 The room comes furnished with a double bed, BIR, study desk and chair. The room is available from 15th May 2019 onwards. If you have your own furniture, we can negotiate the price. The home has been totally refurbished and modern. All bedrooms are fully furnished and are equipped with a Computer Desk &amp; Chair, Study Lamp, Bed and bed linen. It has Ducted Heating throughout the home and a Split Air Conditioner in Living/Dining rooms. Bedrooms 1 Single at $250 p.w. will be available next month and Bedroom 2 Double/Twin $350 p.w. for 2 persons or $300 p.w. for One Single available now. The Students/Guests have their own bathroom. The home has 3 Bedrooms and 2 Bathrooms and is centrally located. If interested, please email/sms your contact details to discuss or alternatively, add your phone contact details on WhatsApp+ Buses: 624/693 leave outside my home and go directly to Oakleigh Railway Station and local shopping centre. The Express train to City/CBD takes approximately 20 minutes. Buses 742/800/802/804 and 862 go to Monash Uni Clayton Campus and Chadstone Shopping Mall. Bus 900 goes to Monash Caulfield Campus. All of the above are within 5-10 mins walking distance to train station. The rental includes All bills and free WiFi Internet access. One bright and full-furnished bedroom is available from 4 May 2019. FEMALE ONLY. The house has very good location, North Road, Clayton, walking 1 minutes to the bus stop, 2 minutes to the Clayton North Primary School, 4 minutes to Monash Hospital, 5 minutes to Clayton train station, 10 minutes walking to Monash Clayton campus and 12 minutes walking to Clayton shopping Centre. 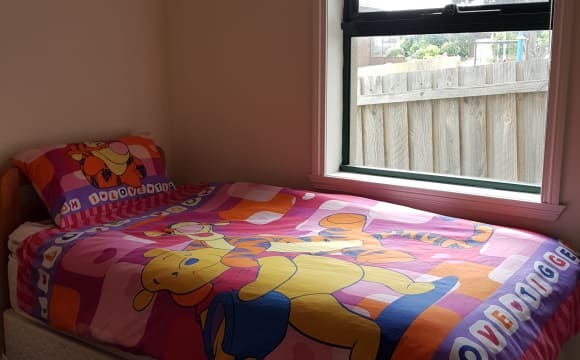 The room has a queen bed, study table, chair, heater, fan and wardrobe, unlimited internet access, $ 180/week single, 220/week two persons, shared bills. Newly renovated, 2-story unit, downstairs master bedroom with en suite just became available. 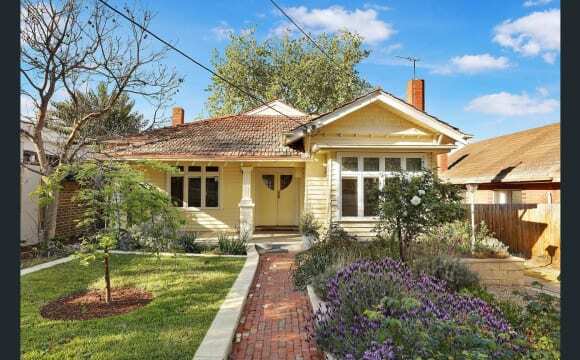 Walking distance to Monash Clayton. 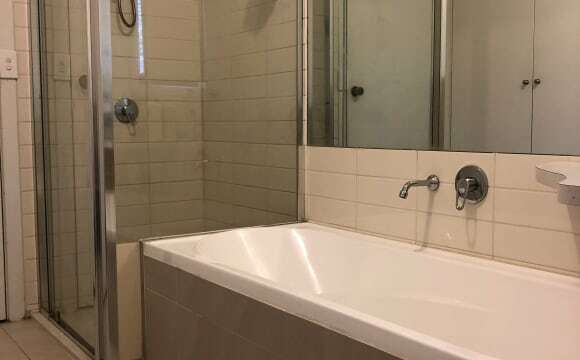 A very nice and tidy house next to Monash University (about 5 minutes' walking), bus stops, gym and restaurants, close to shopping centre and railway station. two bathrooms. Unlimited cable internet (not included in the rent). No pets, no smoking, female only. It's an ideal safe and quiet place for Monash students' living and study. Hi All Monash University Students!!! We have 1 Large bedrooms Available! From 15th July 2019! (one person per room only) in our all Monash Univerity students accommodation house! 1 room is available to From 15th July 2019! Whats Best About this House!! Fully Furnished House everything you need ... Just bring your bags! Huge Rooms with Queen beds, large study desk and built in Wardrobes! Only 5 Min walk to Monash University Clayton, Just at the end of the street! On a quiet safe street! Live with other Monash Uni Students Clayton Train Station and Clayton Shopping Centre!! Walking distance Monash Medical Center! Free Bus shuttle to Monash Caulfield Fantastic and spacious newly renovated and painted with Polished floors! Comprises inside the house: • New sunny kitchen with appliances (Huge 2 refrigerator, steel gas stove, TV, microwave, toaster, kettle and more) • Meals area, Central gas Heating • High speed Unlimited internet connection • Laundry facilities with Washing Machine and Dryer • 2 separate new toilets, • 2 Large new bathrooms, • 5 Huge separate fully furnished bedrooms (Queen bed, large cupboards, study desk, chair) • Fenced off backyard • Lock up garage. The bills including gas, water, electricity and internet are an extra $50 per months We are looking for Monash students only to apply!